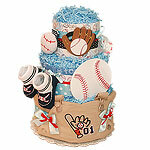 Diaper cakes made for boys. 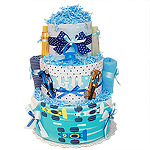 No pink here. 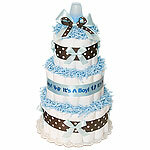 This is all serious and very manly. 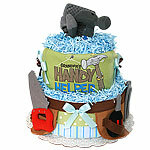 Made for tough little guys. 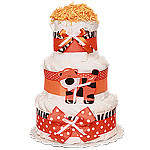 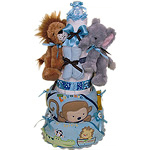 Blue ribbons, dogs, lions and other animals make great decorations for boy's baby shower. 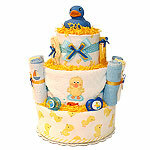 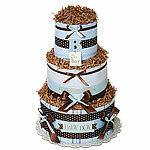 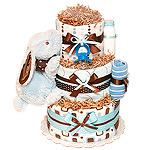 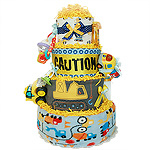 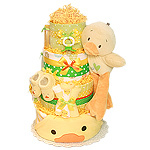 As always premium diapers and unique designs for our boy diaper cakes bring them to the next level to make sure your baby shower is a success. 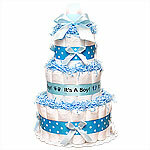 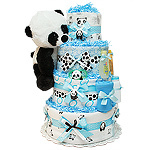 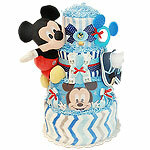 If a boy diaper cake is not what you're looking for, you can check our girl diaper cakes, and gender neutral diaper cakes.